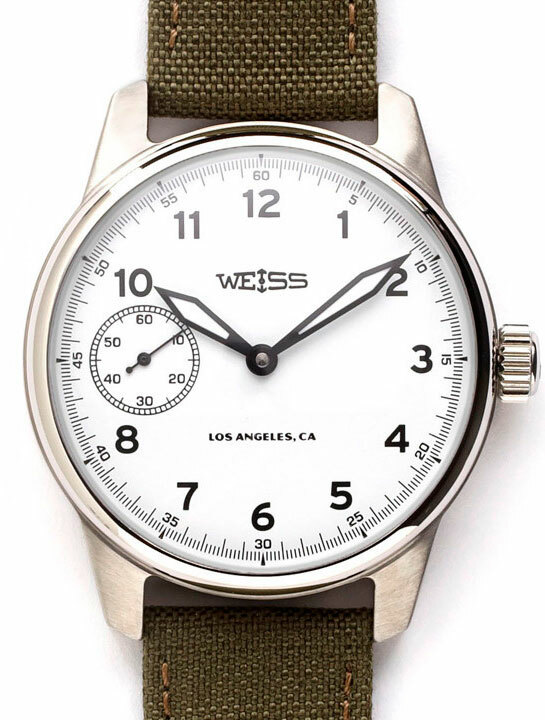 In 2013, in Los Angeles watchmaker Cameron Weiss, who has been trained in the Audemars Piguet and Vacheron Constantin, founded the watch brand Weiss. 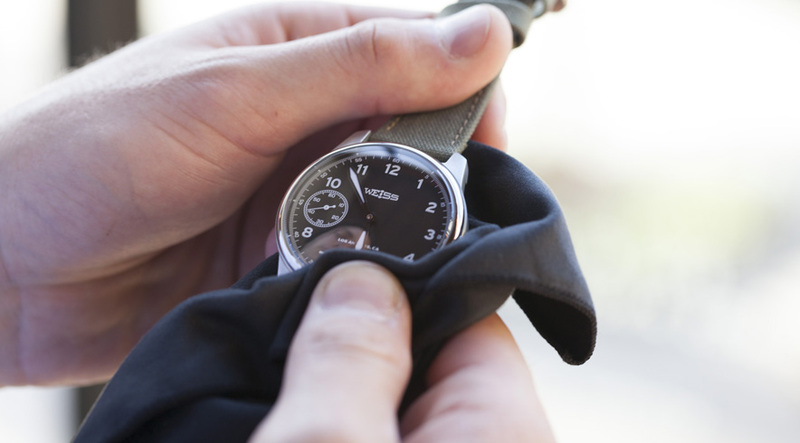 This brand has released its first model Standard Issue Field, the design of which is made in military style. Round 42 mm case thickness 12.8 mm made of stainless steel. Water Resistant – 100 meters. At 3 tags placed rippled screwed crown. Matte black or milky-white dial, sapphire glass enclosed, equipped with Arabic numerals in black or white, blued with white luminescent coating. 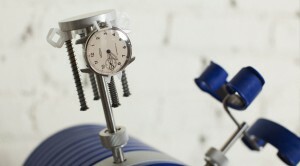 Located at 9 o’clock and small seconds. Novelty Standard Issue Field collected on the basis of the Swiss manual winding caliber 1001 Weiss 17 stones, with a frequency of 18,000 vibrations per hour and 46-hour power reserve. 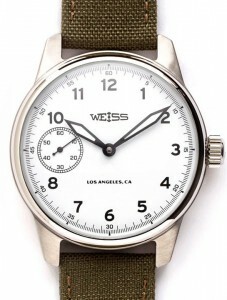 Watch is delivered on a strap olive-green with a stainless steel clasp. The cost model – $ 950.